News --- Luck of the Irish is currently offered for sale as a show gelding. He is naturally talented. Lucky has been gelded. He has been rode last summer and fall and did well. Look for him to go back into training and showing in 2013. 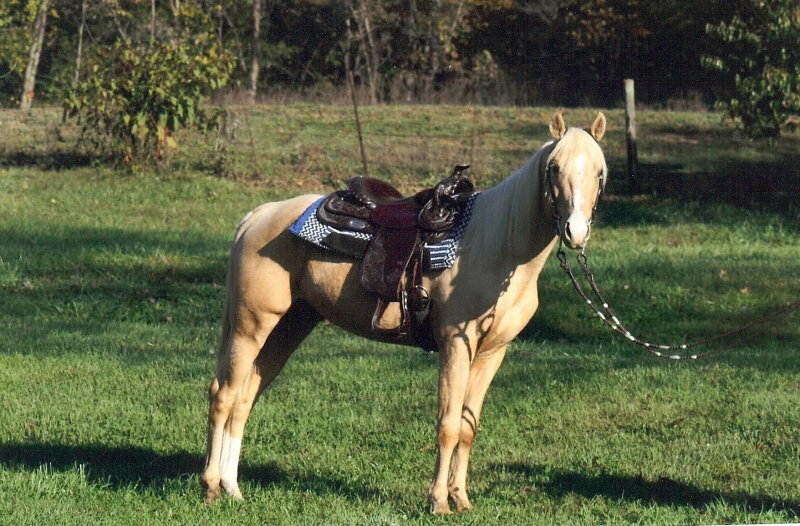 Lucky is a 2002 palomino Quarter Pony gelding. He is registered with IQPA. He stands 14.0 1/2 hands tall. Stallion Service for Lucky is no longer available. Luck has been shown in halter and western pleasure. He has been trained to do both western and hunt seat pleasure. He was the 2002 QCABHA Weanling Champion. 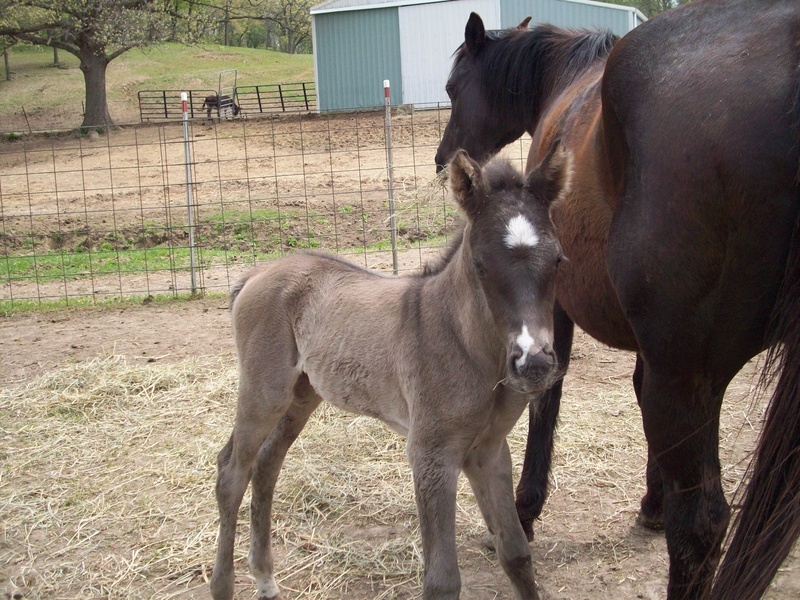 Lucky has produced: 2 palominos, smokey black, grulla (out of grulla mare), and chestnut. His offspring have good conformation, excellent movement, fantastic disposition, and our very easy to train. His offspring have done extremely well in the show ring as well. Check them out below. There are more pictures of Luck in the photo gallery under FAll 2008 Photos by RA Images. 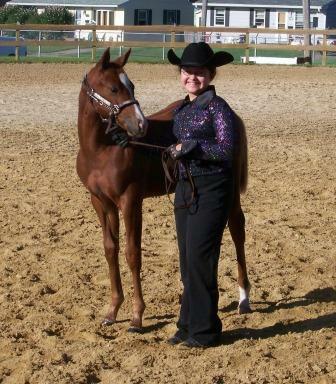 Jewel was the 2006 and 2007 QCABHA Futurity Overall Pony Halter Champion. She was shown locally and in 4-H very successfully. 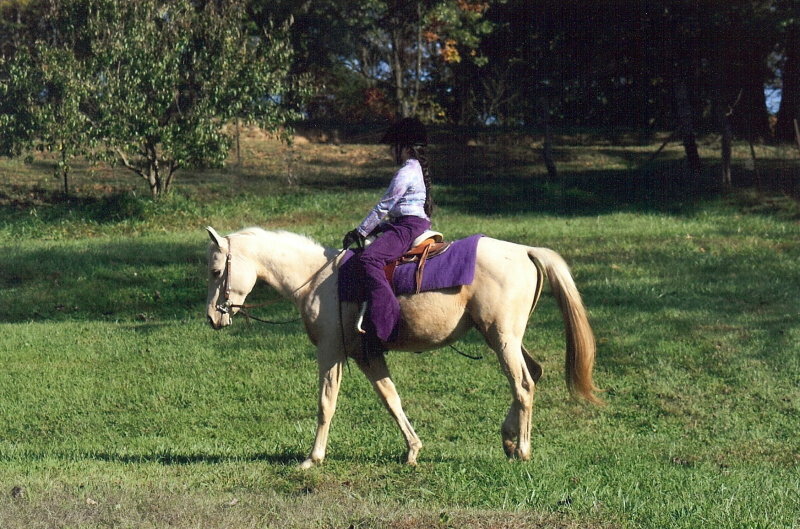 Jewel has good conformation, excellent movement, disposition prefect for kids, and very easy to train. She was trained for snaffle bit western pleasure before being sold to High Point Arabians in winter of 2009.
and out of IHF Silk Senation.